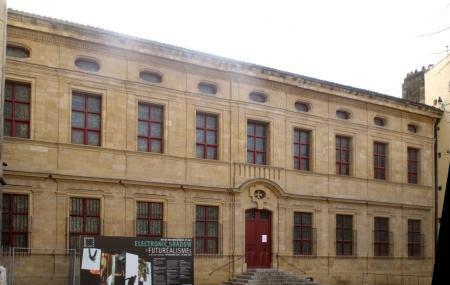 This speciality museum is named after the local painter François Marius Granet who is also one of the major contributors to the collection displayed here. The paintings include the work of prominent European artists of 16th to 20th century. There are works from artists like: Picasso, Leger, Matisse, Monet, Klee, Van Gogh, Giacometti and Cezanne. There are periodic temporary exhibitions held in the museum. Guided tours and audio guides are available. How popular is Granet Museum? People normally club together Vieil Aix and Theatre De La Fontaine D' Argent while planning their visit to Granet Museum. Very good museum with high quality works of art. Although the museum is relatively small, I would still advise pacing oneself. Between the main museum and the chapel extension a few blocks away (which was included in the price of the ticket), there are numerous wings and many pieces to view on several levels. There are paintings from some very famous French artists. One star off for not putting up English names of paintings. Google translate to rescue.